The speedy new ILCE-6000 from Sony boasts the quickest AF performancei of any interchangeable lens digital camera, snapping subjects into sharp focus in just 0.06 seconds. From spontaneous smiles to towering tennis serves, you’ll capture those fleeting moments that other cameras miss. And thanks to the 24.3 megapixel Exmor APS HD CMOS sensor and BIONZ X processor, every frame is crammed with rich detail and texture. 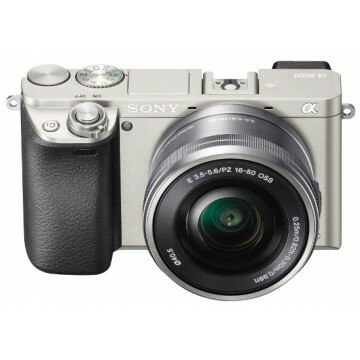 Boosting Sony’s mirrorless line-up, the α6000 comes in two iconic designs, black and titanium, for photographers who have been thinking about taking advantage of the size and weight of a mirrorless camera but don’t want to sacrifice super-quick autofocus, the α6000 is the ideal solution. Even quicker than most professional DSLRs, the phenomenal autofocus speed of the α6000 is powered by Sony’s advanced Fast Hybrid AF system. A 179-point focal plane phase-detection AF sensor is teamed with high-precision contrast-detection AF. This potent combination delivers the world’s fastesti AF performance of any interchangeable lens camera, plus continuous shooting at a blazing 11fps with highly accurate autofocus tracking. Nothing gets past the α6000 – even fast-moving subjects like athletes and energetic pets - and the Fast Hybrid AF system is also available in movie mode. There are plenty more premium features packed into the compact camera body – compose scenes easily through the clear, bright OLED Tru-Finder™ and preview the effects of adjusting focus, exposure and other settings: what you see is exactly what you get. Intuitively-placed mode and control dials on top of the camera allow effortless adjustment of shooting settings while you’re focused on the scene in front of you. A total of 7 customisable buttons – including two dedicated custom buttons – give swift access to any one of 43 assignable functions to satisfy any photo enthusiast and for extra flexibility in any situation there is a built-in flash to brighten up portraits or gloomy indoor shots. It is easy to share shots on your mobile - in-built NFC and Wi-Fi allow a one-touch connection with your Xperia™, NFC-compatible Android smartphones, tablets and VAIO. A single touch also activates Smart Remote Control, linking the camera to fire the shutter from a distance and view photos on your mobile. 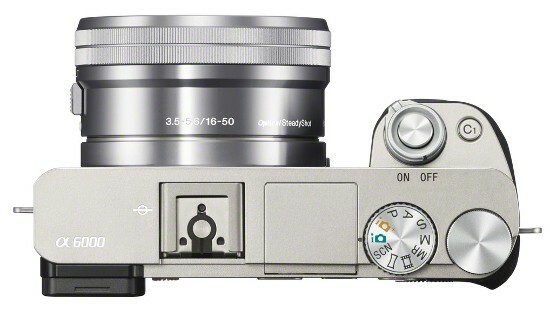 The exciting possibilities of the α6000 grow with your creative ambitions. PlayMemories Camera Apps enhance your photo experience with a growing range of free and paid apps, spanning artistic effects, utilities and more. 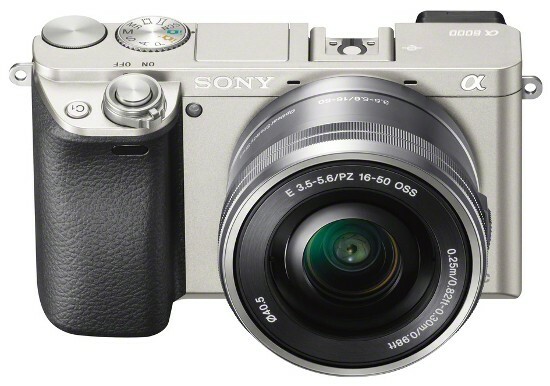 The α6000 is also compatible with Sony’s Camera Remote API programme[i]. 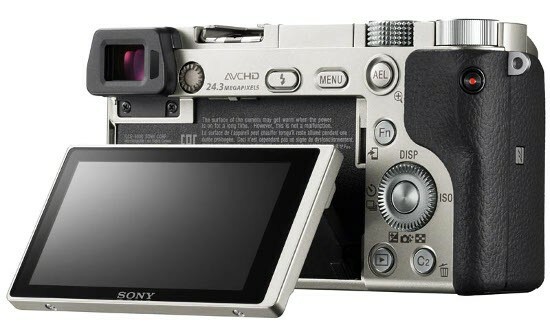 Style-matching optional accessories for the α6000 include the LCS-EBC just-fit Body Case that protects the camera from dust and everyday scratches. It’s possible to transfer data via connected USB, use the NFC function or mount the camera on a tripod without having to remove the case. The LCS-ASB1 Active Sling Bag protects the camera while you’re out and about. Carry it in one hand, or wear over either shoulder, the bag is water-repellent fabric and zipper keep things safe and dry. [i] The ILCE-α6000 offers compatibility with Sony’s new “Camera Remote API beta”, an API (Application Program Interface) for remote operation of Sony camera with Wi-Fi-equipped smartphones and electronic tablets. This requires installation of the most recent Smart Remote Control that can be downloaded in territories where PlayMemories Camera Apps is available.